Hi everyone, hope you all have a great day. Currently i am working on my project which is involving wireless sensor network. 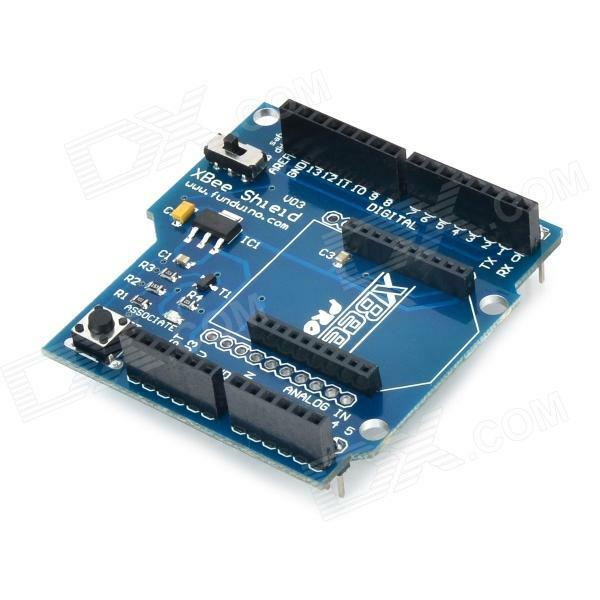 So i am using LM35 sensor, Xbee s2c, funduino v03 shield (Xbee shield) and arduino UNO. Before i proceed to integration part, I have tried AT command and API mode and all working just fine. Now is where the problem happen when i tried to connect my sensor to xbee shield. 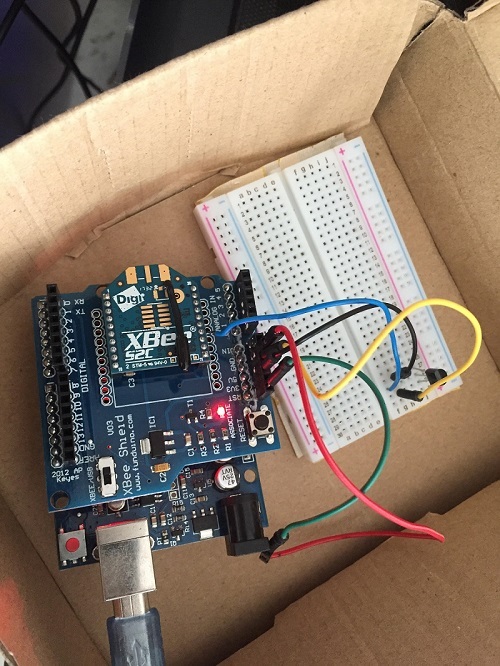 1)Based on on this website https://www.tunnelsup.com/xbee-guide/, it used xbee explorer and connect to arduino for router part. The sensor part is connected to DI03 pin which i couldnt find on my xbee shield. Is it the circle pin between my xbee module and arduino pin same as my xbee pin? 2) I tried to assume the circle pin same as xbee pin and when i try to run on XCTU this is the result i obtained. I obtained unknown symbol for my coordinator result. How can i get the readable result? Do i have to change my xbee shield to xbee explorer ? I am really new to xbee and I am so sorry if my question sounds silly. Why does the coordinator code include LM35.h? The router/end device code, which you completely failed to post, is the only code that needs to.